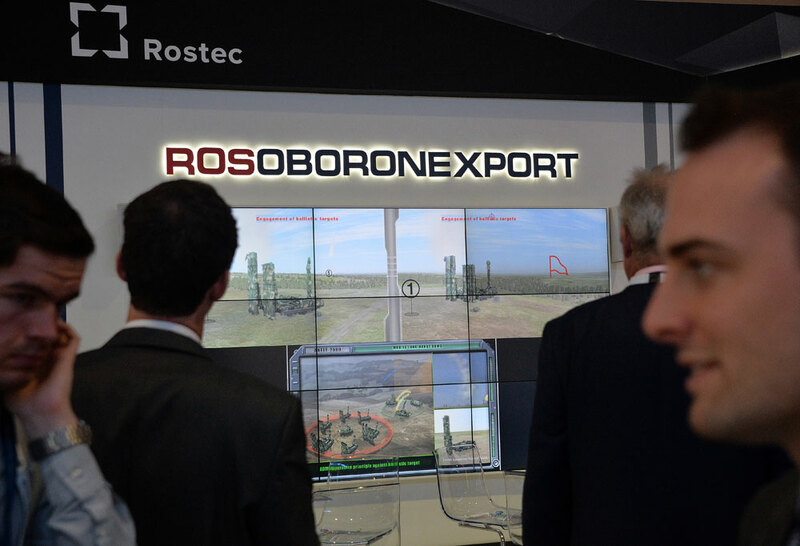 The showcase of Rosoboronexport at Farnborough International Airshow 2014. Rosoboronexport does not plan to take part in the Farnborough 2016 aerospace show, which will be held in the United Kingdom in July, Rosoboronexport spokesman Vyacheslav Davidenko told Interfax-AVN on . "Despite the absence of a formal ban on Rosoboronexport's participation in the Farnborough 2016 exhibition, Rosoboronexport did not plan to take part in that exhibition from the start," Davidenko said. "We rely on the information posted on the website of the British government's Export Control Organization. It explains that an EU embargo was imposed on exports and imports of armaments and military hardware to and from Russia on August 1, 2014. We have an adequate idea of what we can expect: total obstruction in registration, the issue of visas, the delivery of cargo, the construction of our exposition, everything," Davidenko said. "Farnborough 2016 is ready to receive any other Russian exhibitors but only with non-military products," he said. Rosoboronexport takes part in more than 20 internationally acclaimed exhibitions each year, and 2016 is not an exception, Davidenko said. "We have things to display and we have locations where to do that. They are looking forward to seeing us everywhere. So, the absence of our exposition in Farnborough this year is absolutely not critical to us," Davidenko said.